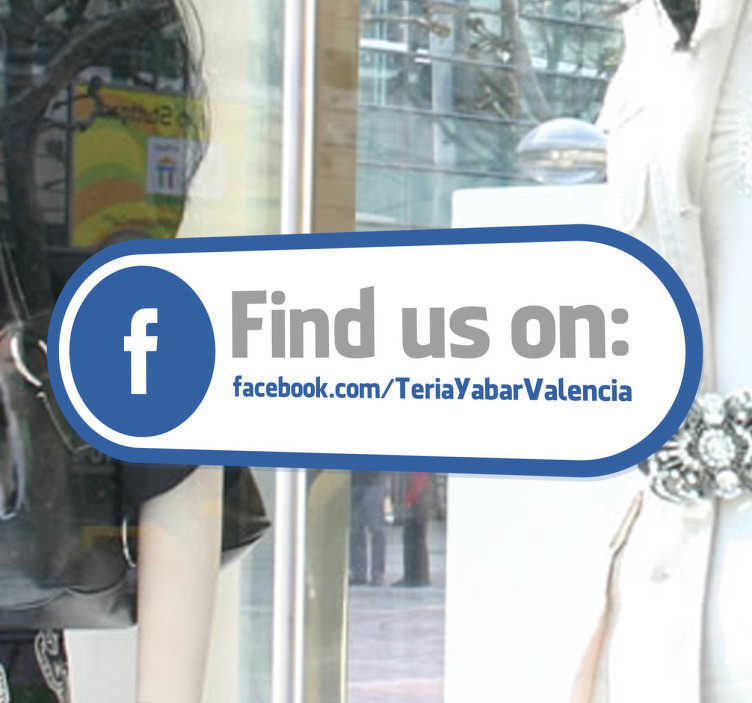 Informative decal for your shop front window to let everyone know that they can also contact you on Facebook. Promote your Facebook page and gain more customers around the world! Social media is very important to promote your business so use this fabulous and stylish window sticker! Fantastic decal that will increase the number of orders you receive. Remember to enter the URL of your Facebook page into the text box!